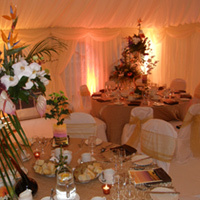 Alfresco Marquee Hire provide marquee hire in Limerick. The Alfresco Marquee Hire team provides specific individual marquee solutions to meet the varying needs and varying budgets of our diverse range of customers. Whether you’re planning a small private party at home, a never-to-be forgotten wedding celebration or to make a lasting and professional impression on your corporate clients, we have the knowledge, expertise, vision and equipment to surpass your expectations. If you have any questions regarding our services please contact Alfresco Marquee Hire via - 01665 570 403 or via Email: tomghoward@eircom.net.